MAG - Mecaer Aviation Group - is a leading international provider of solutions for Aircraft Landing systems, Aircraft Flight Control systems, Aircraft Modifications and Completions and MRO & services in the Helicopter, Business Aviation and General Aviation markets. The Group has three operating divisions, Actuation & Landing Systems, MRO & Services, Modifications and Completions, with many approvals and qualifications from regulatory agencies, military organizations, industry and customers. MAG offers complete solutions from its broad range of in-house capabilities, with a long-term strategy and life-cycle approach that makes it a trusted partner of hundreds of customers worldwide and a reliable performer for industry leaders. The present Mecaer Aviation Group results from the merger of the former Mecaer S.p.A. and SEI S.p.A., two companies which had been under the same ownership for a decade and whose history adds up to over 200 years of aviation experience, with direct ties to the heritage of renowned industry names including Agusta, SIAI Marchetti, Breda and Nardi. MAG has a global presence in the aviation market, reaching about 110M Euros in revenues, some 500 in people, with five operating facilities in Italy, Canada and the USA. LEAFF has been selected as parts and appliances supplier by M.A.G. 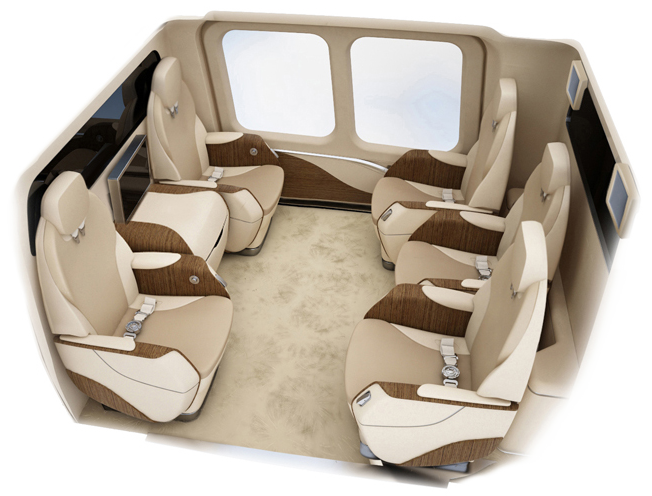 to cooperate in the design and development of the In-Flight Entertainment Enhanced Lounge (I-FEEL) system, which is now available for installation on most medium and heavy helicopter models (Agusta AW-139, Agusta AW101, Eurocopter EC145).